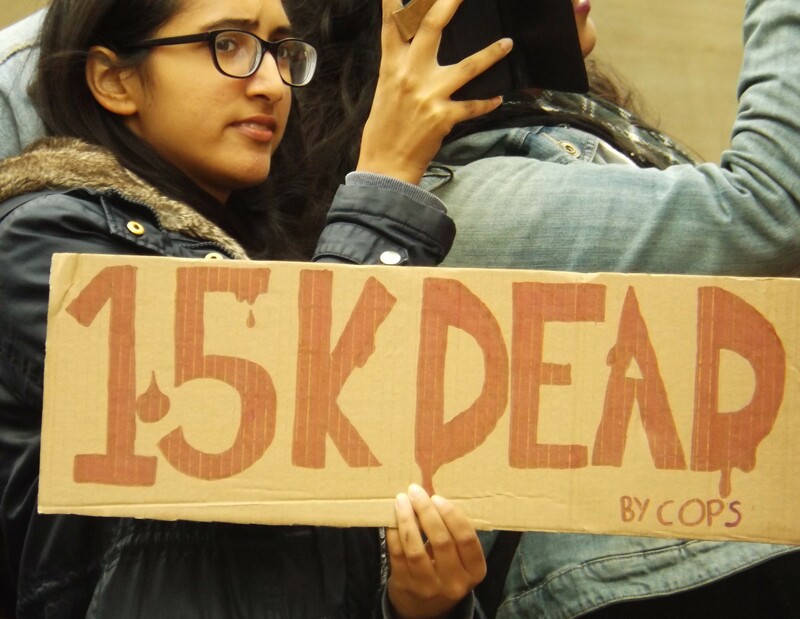 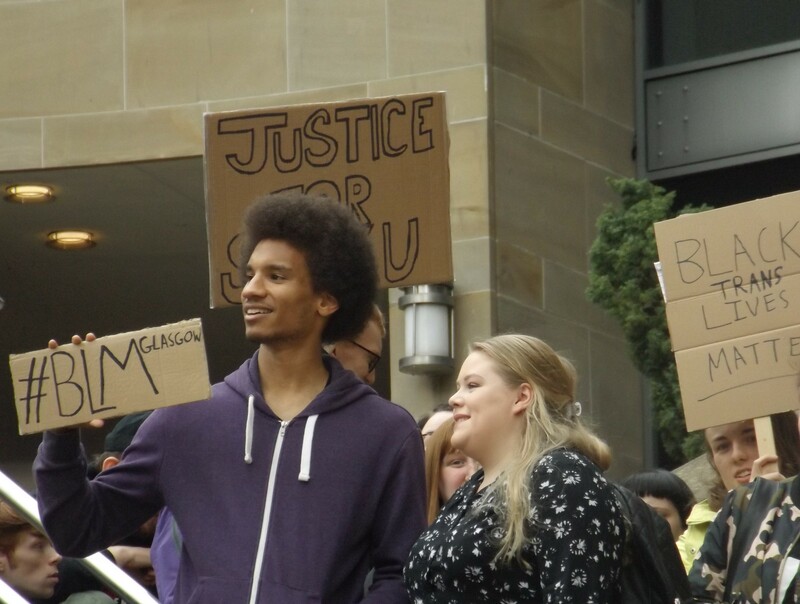 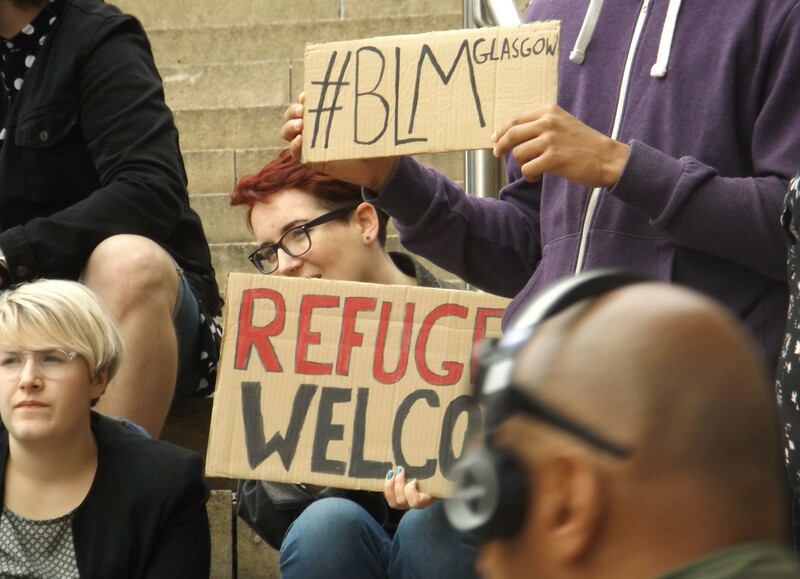 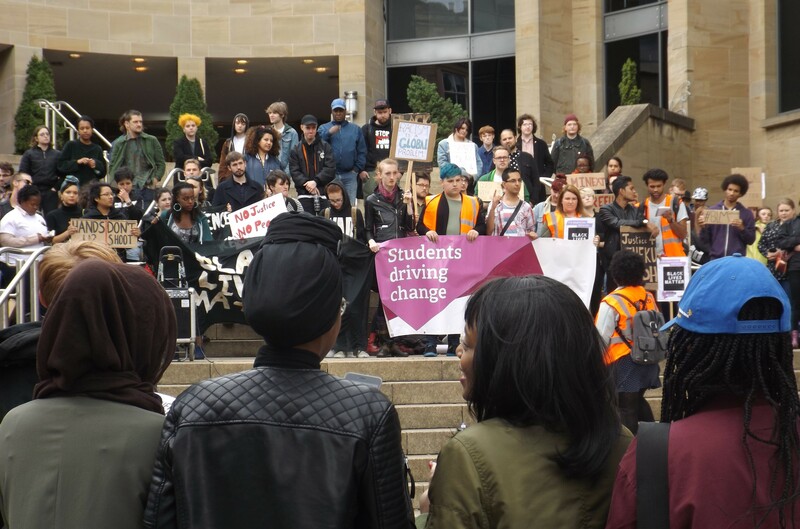 Around 150 people gathered at the top of Glasgow’s Buchanan Street this afternoon, marking the first demonstration in Scotland by the emerging #BlackLivesMatter movement this side of the Atlantic. 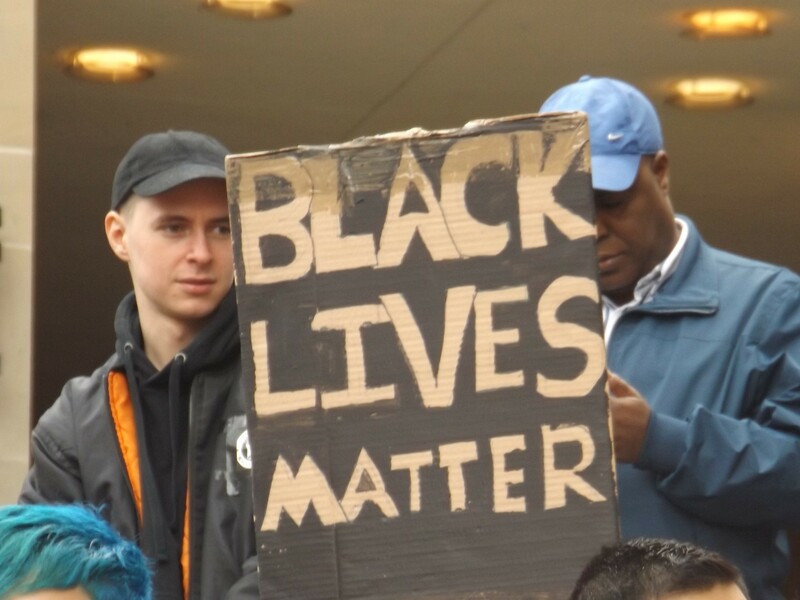 Eyebrows were raised. 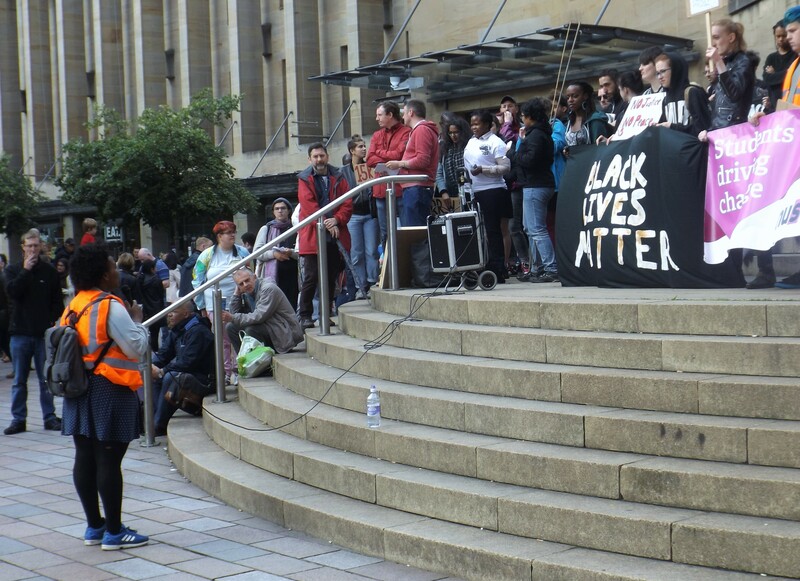 What relevance does a US-based movement, motivated by police shootings and victimisation of black people on another continent, possibly have in a Scottish city that, apparently, prides itself on its own egalitarian self-worth? 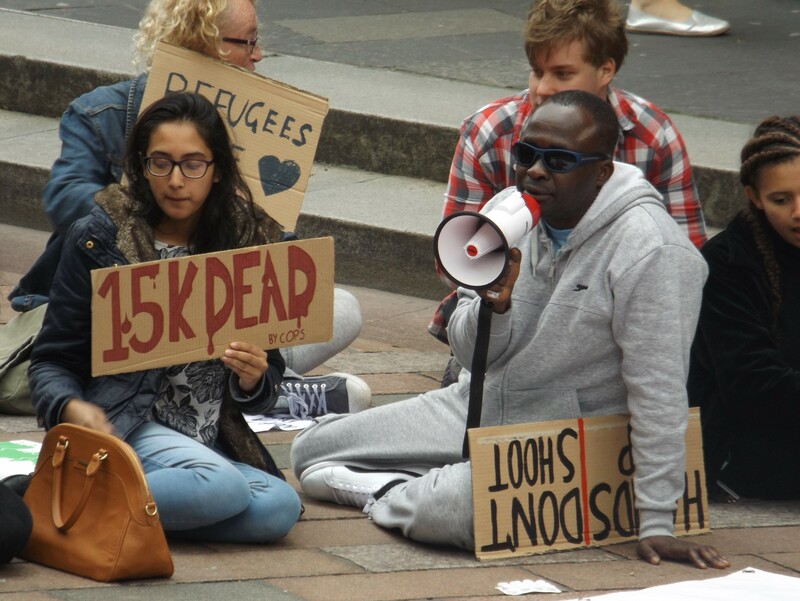 Given that Buchanan Street is literally named after a ‘tobacco lord’ – Andrew Buchanan – who grew unimaginably wealthy off the back of a cash crop that was grown by black slaves, it should not be question we need to ask. 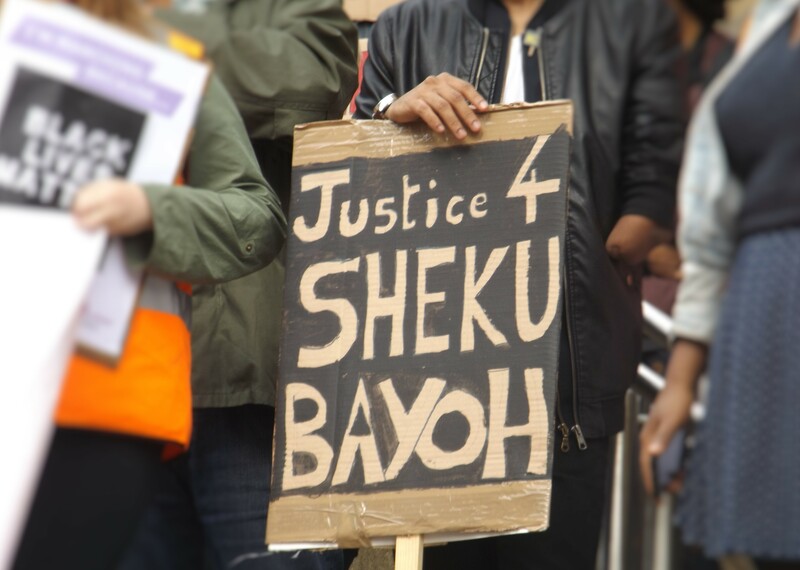 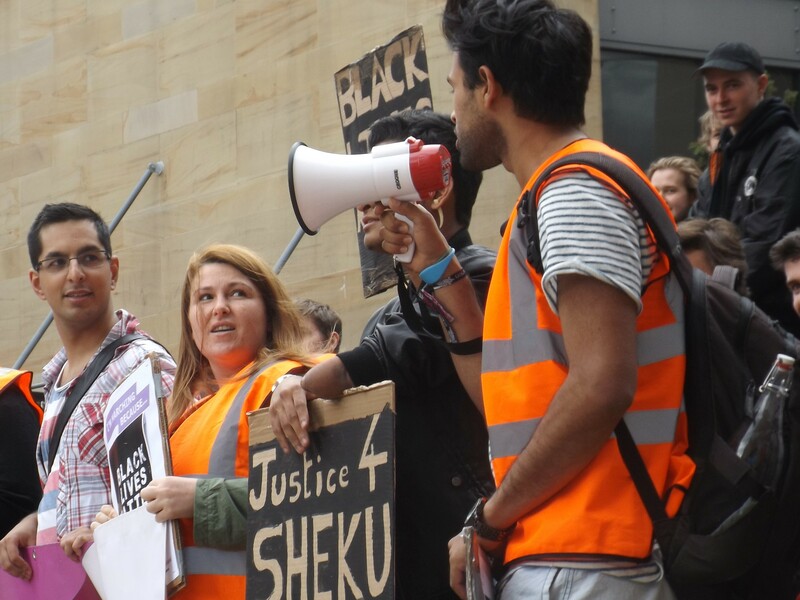 Given that the family of Sheku Bayoh, a Sierra Leonean national who died in the custody of Police Scotland in Kirkcaldy last May, are still waiting for answers, it should not be a question we need to ask. 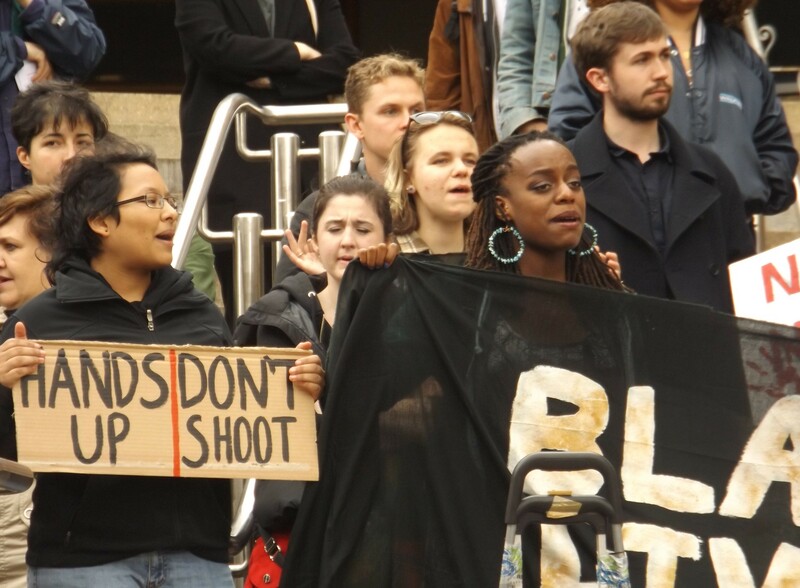 Given that black people are far more likely to be stopped and searched by the police, it should not be a question we need to ask. 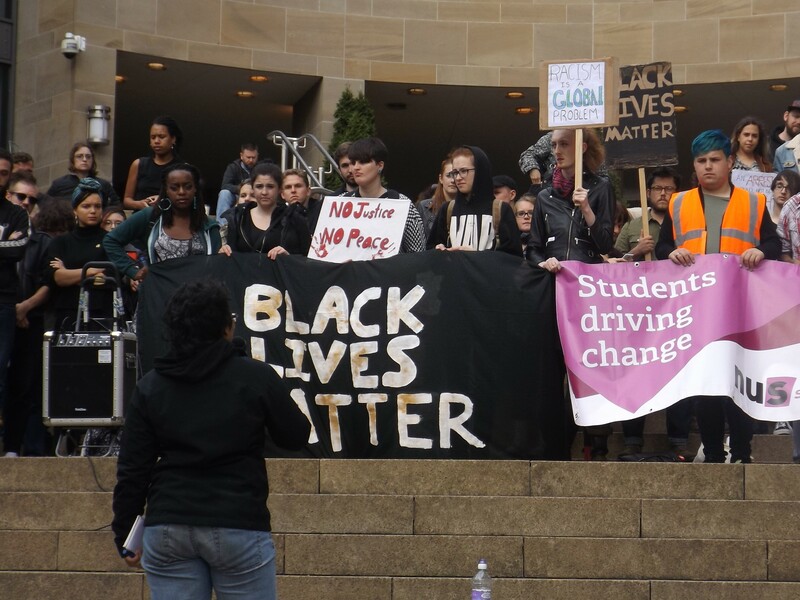 Scotland, and the UK, need Black Lives Matter.